While there are some plants that make collecting seeds a difficult process, it is easy to harvest broccoli seeds and store them for use next year. Just be sure to plant enough broccoli this year that you can skip eating at least three of your plants to use them for seeds. In years when you want to harvest broccoli seeds, you will want your to plant in a grid instead of rows, so you are sure to get good pollination. 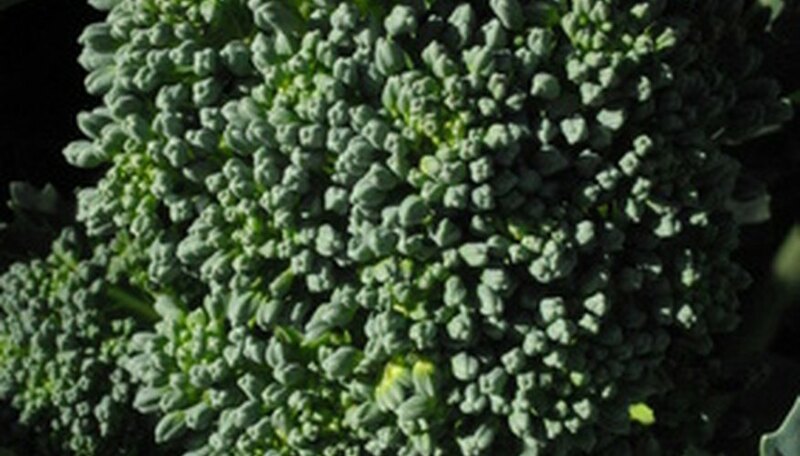 Harvest your eating broccoli as normal, but leave seed broccoli alone to turn yellow. The center of the broccoli will bolt up and produce seed pods. Let the seed pods dry on the plant outside. Feel the seed pods for dryness when they start to turn more of a golden brown color. The pods should not yet be brittle or pop open when touched. Cut the plant at ground level with a knife, clean across the stalk. Tie a string to the base of the broccoli and hang it in a warm, dry area indoors so the plant and seed pods can finish drying upside down. Leave the plant hanging for two weeks. Pull the fully dried pods from the plant and place them in a bowl. Squeeze open the seed pods with your fingers and let the seeds drop into the bowl if you can, or place the pods in a bag and roll over it with a rolling pin to reveal the seeds. Separate the seeds from the pod pieces and put them in a seed packet or envelope. Write on the envelope to label it with the type of seed, variety and year the seeds were collected. Store the seeds in a cool, dry place for three to five years. Each year you have your seeds, plant a few to make sure they are still viable. At the point when you are not getting at least 30 percent of your seeds to germinate, discard the batch and collect new seeds for the following season.